With a combination of 100% Organic and food grade ingredients MOOM is ideal for waxing sensitive skin and delicate areas. With calming Chamomile, Tea Tree oil and lemon the wax gently removes hair with its root and keeps it off for up to eight weeks. Kit includes: 170g hair remover, 12 x body and 6 x face reusable fabric strips, 4 x applicators and instruction booklet. 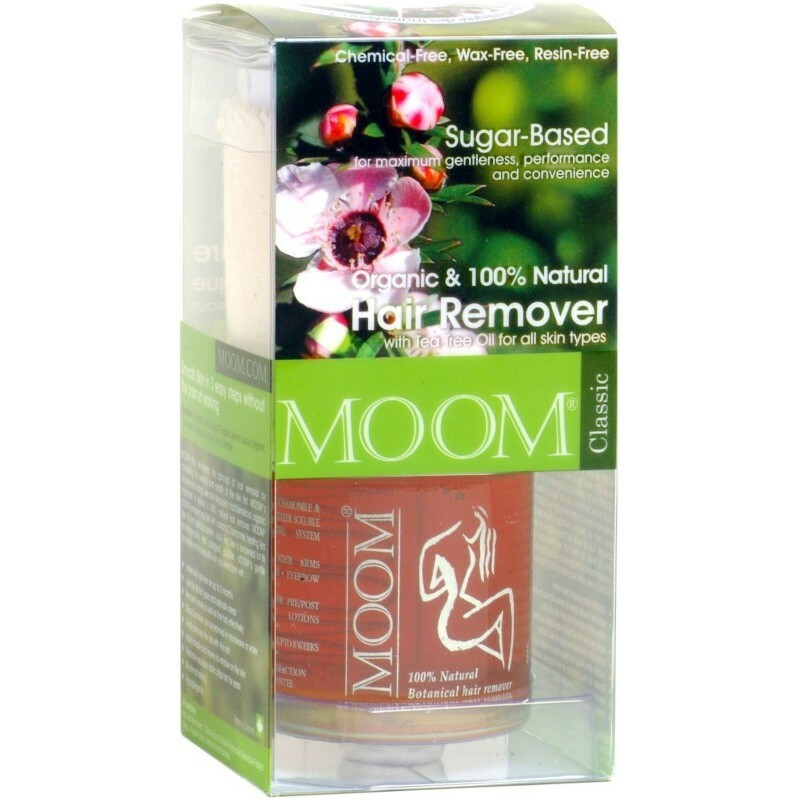 Choose hair removal with all natural ingredients - free from chemicals, synthetic waxes and resins. I love that this has so few ingredients, and they're all completely natural. Much better than putting synthetic waxes on your skin! It's really easy to heat and use, and very gentle on skin. It's also really easy to clean the waxing strips / your skin afterwards, since the wax dissolves completely in water. This a a brilliant wax. Amazing ingredients, which allows it to be gentle on the skin. The wax melts nicely, it doesn't go all goopey and lumpy. It washes off with water! It smells quite nice compared to mainstream waxes. The kit has everything you need. Love love love.